Home › 360 Waves Haircut Tips: Everything you Need to Know! The way that you get your hair cut is very important when you are trying to get 360 Waves. If you get your 360 waves haircut too low while you are in the beginning stages, this will cause you to loose progress. Most guys don’t know what the best hair length is and end up finding out the right length by trail and error. I will let you know now that the right length to get your hair cut for 360 waves depends on your hair-texture. For guys with a coarse hair texture similar to mine, the best length is usually either a “1” or “00” guard with the grain (WTG). The number “1” usually represents inches. For guys with a straight hair texture the best length is usually anywhere from a “2” WTG up to a “4” WTG depending how straight of a hair texture you have. Clippers usually come with an attached adjustable blades that already have length, so putting the guard on will make haircuts higher than actual specified by the guards depending on how the clippers are adjusted with the lever. Most elite 360 wavers go through a phase where they begin to cut their own hair. I think all 360 wavers should learn to cut their own hair because it will give them a better understanding of how their hair grows and which lengths are best for their particular hair type. The following information about hair clippers and guards will help you understand the basic of grooming when it comes to maintaining 360 Waves. Whether you want to start cutting your own hair, or understand the process better so that you can communicate with your barber, this is the right place to learn. Hair clippers, or just clippers do exactly what the name implies. They clip hair. If you want to begin cutting your own hair, you will definitely need to get yourself at least one set of clippers so that you are able to cut your hair to the proper lengths after wolfing sessions. Below are two clipper brands I recommend. 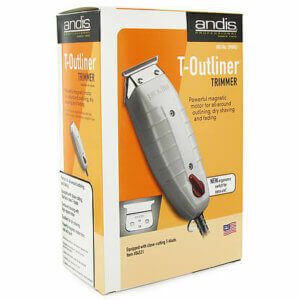 The Andis Master hair trimmers are great. I personally use these to cut my hair. When you take these out of the box for the first time, you may need to adjust them by turning the front screw with a flat head skew driver. If you want to buy any of these hair clippers on this page, I recommend you Try Amazon Prime 30-Day Free Trial this way you will get free 2-day shipping and save money when you buy any of these product on online from amazon. The first thing you will notice about these clippers is the weight and build quality. With 14,000 cutting strokes per minute, they have outstanding cutting power. One issue a lot of guys run into is buying extremely cheap clippers with weak cutting power from a place like Walmart only to find out that their haircuts are coming out below the quality that they are use to at the barbershop. 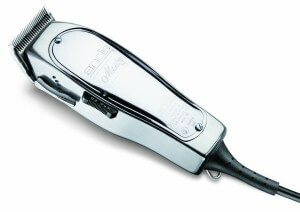 You will not run into that problem if you choose the Master clippers because they have excellent cutting power. These clippers are top of the line and industry standard. If you walk into any barbershop you are likely to see more than one barber using these to cut their clients hair. 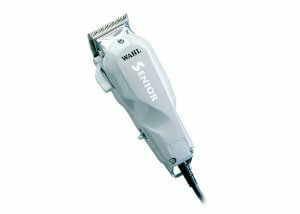 The Wahl Senior hair trimmers are very similar to the Andis master clippers mentioned above. Boasting a v9,000 electromagnetic motor, this clipper is just as powerful as the Andis above. The design of the Senior seems to contour to the hand making very easy to grip compared to most other clippers. These are great because they are priced at a more affordable rate and are still better than a lot of other clippers. This is also an industry standard when it comes to hair care. Many barbers across the country will agree that these are one of the best clippers out there today. The Andis T-outliners cut very crisp lines. In the barbering world the term used is, “Hit” is used to describe how sharp a clipper cuts. Barbers want clippers that Hit good because this is what makes their line ups come out crispy. If you want to give yourself crispy line ups you need a set of liners that hit. From experience with the T-outliners, I can tell you that they do hit well. Straight out of the Box the T-blade liners are capable of cutting crispy lines. If you use the zero gapping tool, you can get them to Hit even harder. Zero gapping is a term barbers use to describe how they adjust their liners so that the two blades have no gap between them. Barbers make this adjustment to their clippers so that they can have crispier line ups. The factory length of the liners are not zero gapped because the clippers become very sharp when pushed that close together. I believe it is a safety precaution to protect inexperienced consumers. 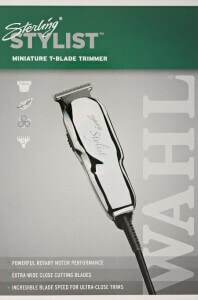 Similar to the Andis the Wahl Sterling stylist are great liners. They Hit very well. You will not be disappointed with the quality you are able to produce by using this brand of liners. Great for shaving without causing razor bumps, most beginners will find both the Andis and Wahl liners great. Both of these liners are priced in a similar range. Between the two, I suggest you choose the one that calls your name the most. 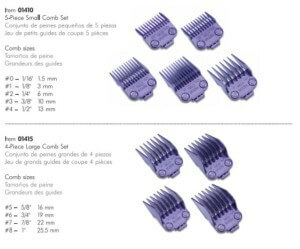 Clipper guards are used to help cut desired lengths. Guards are measured in inches (inch) and millimeters (mm). If you ask for a 1′ WTG, you have to be clear with some barbers because not all guards have the same numbering. The Andis magnetic guard set comes with it’s own numbering that describes the lengths of each guard. For example a #1 guard is a 1/8 inch which is nearly a 0 inch guard . If you take a look at the Speed-0 guard list below a #1 guard is a 7/16 inch which is just under a .5 inch guard. As you can see it gets real confusing. when It comes to different brands of guards. The thing that remains constant is length. if you specify that you want a 1 inch guard then it does not matter what the brand’s number for that guard is because 1 inch will always be 1 inch. The Speed-0 Guards are universal guards meaning that they can fit and be used on virtually any hair clipper on the market. This is great if you buy two different types of hair clipper and want to be able to use same guards. 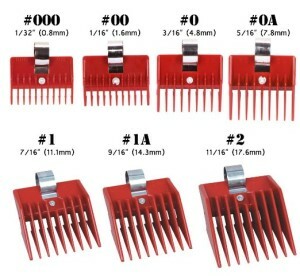 These are best for a beginner because they cling to the clippers very tight. This is good because as a beginner you want guards that will not come off with easy motions. It really takes two hands to release these guards and that is a plus for a beginner, The magnetic guards are good for a barber who wants to switch guards easily while doing complicated haircuts like fades. Got my first 360 wave brush and I’m diggin’ it! Got another one one the way! Hey rashaad Sry if i spelled your name wrong but im a coarse hair waver For christmas im asking For A “Gold Soft brush”, ” A white and gold handled hard brush”, And just a “white Medium” Brush. But you see i got my haircut and Im Seeing progress but you start to see them but then they go away for some reason So on December 3rd 2018 im Getting a haircut but idk what haircut to get plz help me out..
My hair grow a lot faster on the top than on the sides. Even when wolfing my sides is no where as close as my top. I’m trying to get 360 but it’s looking like I’m going to have to get a fade. What should I do?